Boho chic! 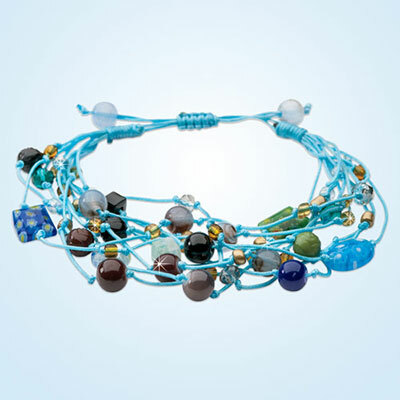 This multi-strand Colourful Cluster Beaded Bracelet is adorned with bold, beautiful crystal beading and accent pieces for an artisan look that's one of a kind. Easy, pull-string closure makes it a snap to put on and take off. One size fits most.